Facade gardens exist on the border of private property and public space. 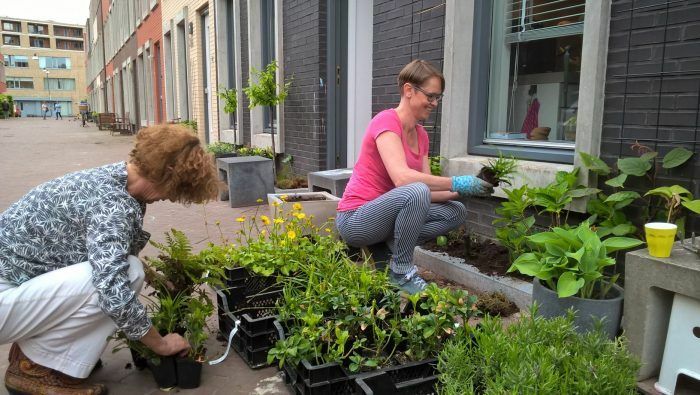 The municipality of Groningen will install facade gardens in streets where residents express an interest. Operation Stone Crusher provides the plants in exchange for a coffee and press event. The municipality supports the project with materials, technical knowledge and expertise.